There are days where I want to shut my phone off forever. What made me get to this point in time? It might be the buildup of a constant string of cancelations. It could be the recurring line of "It's not you, it's me." Maybe it is the situation of arriving to a date to only find out that the other person isn't showing up at all. Ghosting? Oh, it's real. Welcome to the wonderful world of text messaging! It would be nice to think that after a certain amount of times a person goes through those escapades that it no longer bothers him or her, right? After all, New Yorkers are supposed to be tough. New Yorkers are supposed to be strong. New Yorkers don't let anything get to them. Sorry (not sorry) - This New Yorker is burned out and has something to say. Technology is a great thing. I have met so many wonderful friends because of the Internet. I am happy to be part of a global community that is able to bring people together who share similar dreams and passions. However, I can't help but think that there has been a drastic increase in rude behavior because of how everything is so accessible these days. Some might say that dating apps like Tinder are meant to be played like a game. I'm almost 29 years old, I don't have time for games. I think that it is important to always remember that there is a real person on the other end who has real feelings, just like you and me. I encourage people to really think about the words they write (or don't write) before sending them out. Would you like to be treated that way? With that in mind, I decided to seek out inspiration from someone with experience. Someone who understood my struggle. Someone who gets me. 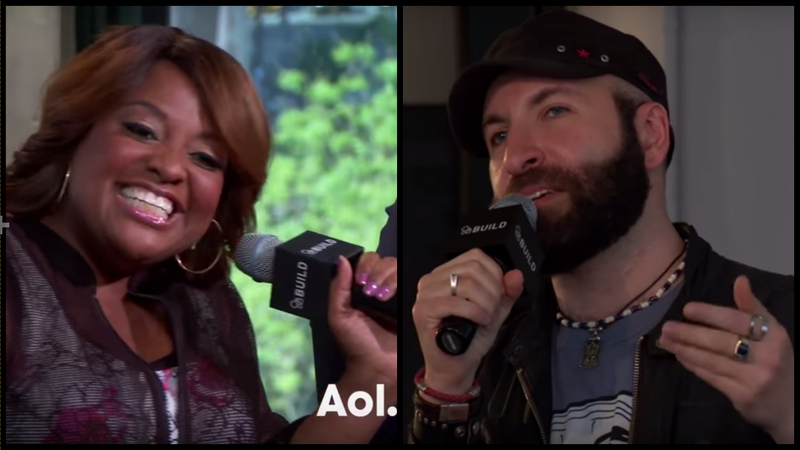 When Sherri Shepherd stopped by AOL BUILD on May 16th to promote her new show Match Made In Heaven I asked what was the best tip she could give to a single person living in New York City like myself. Without hesitation she exclaimed, "PRENUP!" On a lighter note, she did invite me out to Las Vegas to party this weekend. Thanks for the invite Sherri! I've got to wonder though...Is it just me or do the majority of people in a big city like New York believe that the next best thing is always another swipe away? If a person doesn't like the smallest detail about who you are as an individual, you get discarded into a big unwanted pile to the left. Let that thought sink in for a second. If someone doesn't like an incredibly tiny summary of interests in a box attached to a couple of pictures of your face you are done. Kaput. Ruined. Vanquished. Finished. I don't know about you, but I would like to think that there has to be more to a person than a couple of dimly lit iPhone photos and overused emojis. Good luck out there to all my fellow single ladies and gentlemen of New York City. I wish you all nothing but the best. This guy is going to attempt to meet people the old fashioned way. I'm shutting the phone off and giving my thumbs a rest...after I book a flight to Sin City to see my girl Sherri.